to bring their own t-shirt or singlet they can dye that too. They'll have time for hanging out, cake and presents. 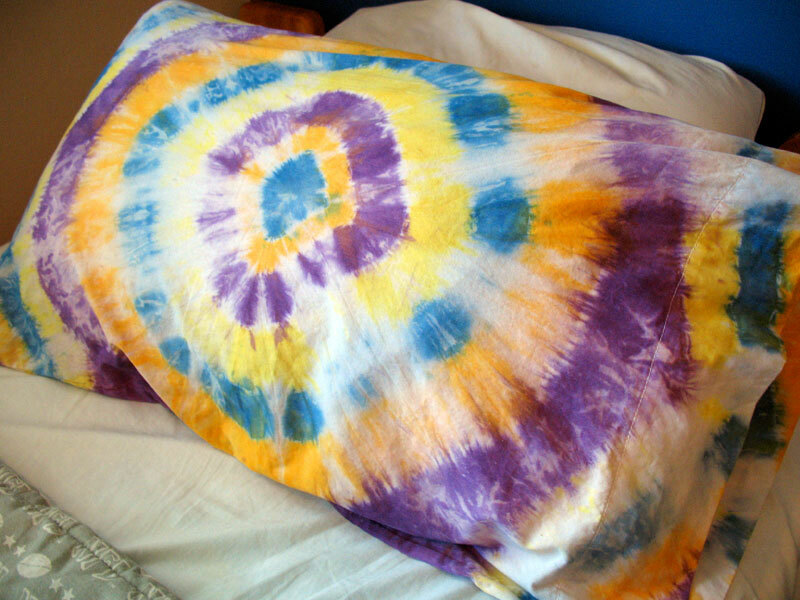 $30 which includes a slushie drink and water, plus the pillow case, calico bag and materials to tie dye. the craft. You bring music on a phone or iPod. We set up and clean up. Depending on how you twist and tie the fabric and the colours you choose to use, you can achieve custom looks unique to you. Let loose with your new skills on a calico bag and a pillow case. Bring a cotton t-shirt or singlet top that suits you and customise it for your own style.